Ohanah is made by Beyounic SA, a Swiss company. FastSpring, an US based company is the reseller. The collection of VAT is done by FastSpring. It&apos;s automatic, and you will see it next to the price. Please note that in the European Union, before 2015, VAT was based on the location of the business. However, now it&apos;s based on the location of the customer. 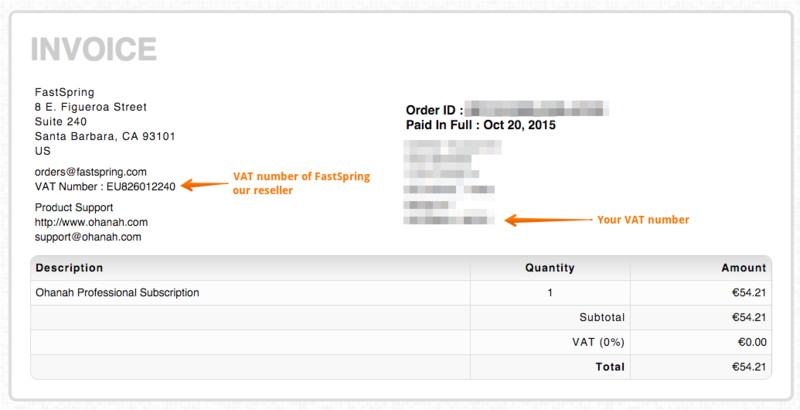 FastSpring detects customer&apos;s location via IP address (which is the suggested way) and adds the correct amount of VAT, when applicable. 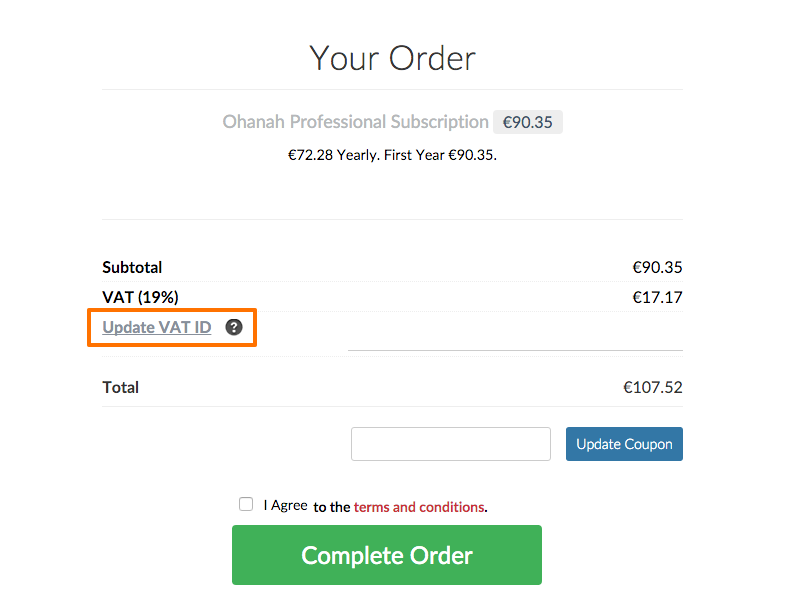 After the purchase, you will get the email with two links: one for the subscription page and one for the invoice. If you entered your VAT ID during the purchase, you would see your VAT ID in the invoice. Norway has trade agreements with the EU that make it part of the EU VAT regulations. Thus, customers from Norway need to pay VAT too.